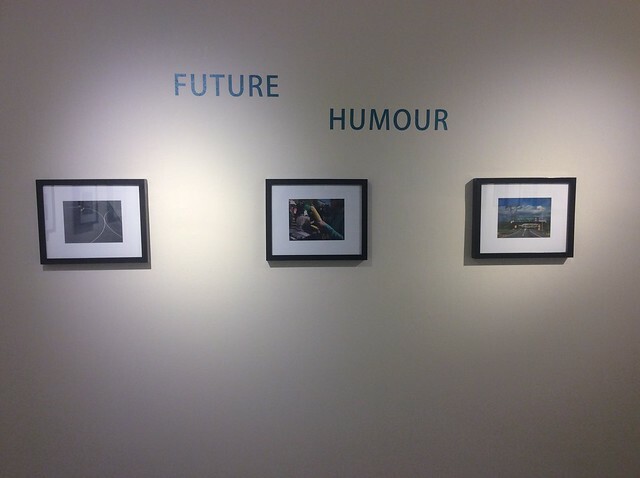 Future Humour runs until November 20. We love the Mudd Gallery! Having an art gallery in the library is a beautiful partnership, and one that truly embodies the essence of a liberal arts education. Future Humour features digital photography captured in New York City and Appleton. Supporting our students is an incredibly significant component of our mission, so it makes sense for us to offer space that allows burgeoning student artists the opportunity to curate, organize, and host their own gallery openings and exhibits. It’s also a great resource for students working hard in the library, slogging away at their academic work. The gallery allows a meaningful, fulfilling, thought-provoking avenue through which to relax, unwind, and shift or gain perspective. The Mudd Gallery’s latest exhibit is Future Humor by Yifan Zhang. The artist shares color photography captured in New York City and in Appleton, creating a vibrant and interesting opportunity to compare and contrast these locations. 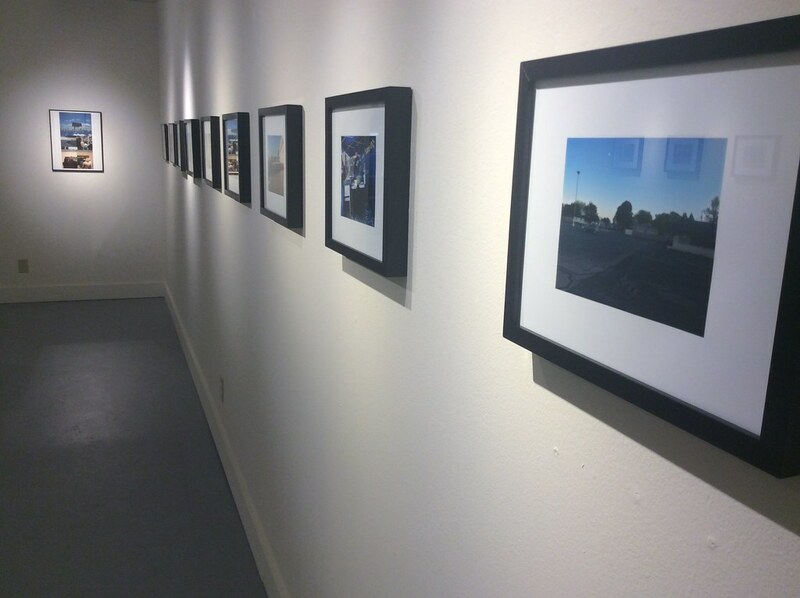 The Mudd Gallery is located on the 3rd floor of the Seeley G. Mudd Library. As you know, the Mudd Library supports the entire Lawrence community. Because of this, we strive to connect with other departments on campus to learn more about their services, how we can best assist them, and to explore possibilities for collaboration. Recently, we reached out to Lawrence’s Dean of Religious and Spiritual Life, Linda Morgan-Clement, to welcome her to campus and to learn more about her work. She graciously invited us to The Center for Spiritual and Religious Life to check out the recently-renovated space and to hear more about the offerings of the center. 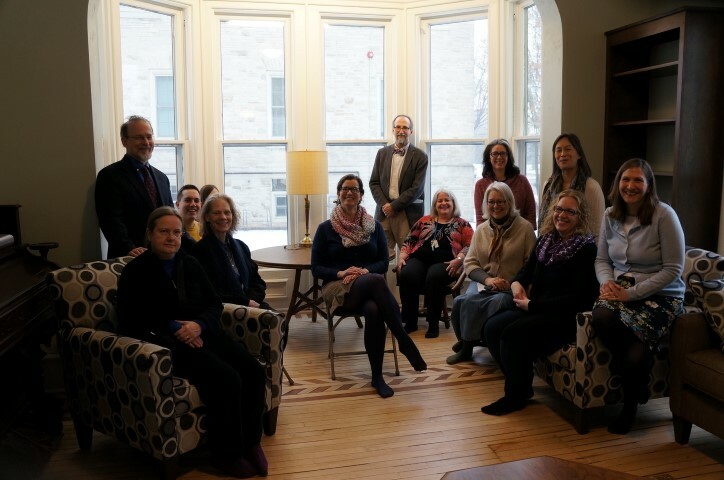 Mudd Library Staff with Reverend Dr. Linda Morgan-Clement in the beautiful living room at The Center for Spiritual and Religious Life. It was a grey, icy morning the day we slowly made our way to Sabin House, but once inside the space we were suffused with warmth and comfort. The Center for Spiritual and Religious Life is filled with lovely colors and soft light. We took off ours shoes, as directed, and looked around the beautiful, comfortable first floor. There’s a lovely meditation room, a cozy living room/meeting space, and a spacious community room with a kitchen, perfect for hosting group meals or even yoga classes. The downstairs bathroom features a foot wash station for Muslim guests. To our delight, each of the spaces has its own library which corresponds to the space; the meditation room features brief works and poetry to foster centered reflection, whereas the living room houses classic religious texts and works meant for deep reading and to foster respectful conversation. The second floor features the administrative offices for the center as well as a meeting room. Linda explained that one of her many roles as the Dean of Religious and Spiritual Life is to offer one-on-one spiritual direction and guidance relating to important questions of meaning and purpose. We loved visiting Sabin House and learning more about this great campus resource, and we highly encourage you to do the same. Visit their webpage to find out more about the center and to see the rich and timely offerings available to the Lawrence community. Thank you so much for having us, Linda. It’s a New Year in the Mudd! You know that you can rely on the Mudd as a place to research and relax, but we can also help you resolve, too! If you’ve made New Year’s resolutions, we have many materials on hand that just may support and inspire your intentions for 2015. If incorporating more physical fitness into your daily routine is a goal for you in the upcoming year, check out our video collection, which includes DVDs on yoga, strength training, zumba, belly dancing, and more. We also have multiple versions of the video game Just Dance, if you wish to work out while learning some great new dance moves. Perhaps you’re interested in being more mindful about the food that you purchase and eat. If so, we have many documentaries to inform and inspire you, including Forks Over Knives, Fed Up, and Food, Inc. The third floor houses cookbooks and books about mindful eating, with titles like Savor: Mindful Eating, Mindful Life and Eating Mindfully: How to End Mindless Eating and Enjoy a Balanced Relationship With Food. Speaking of mindfulness, if beginning or deepening a meditation practice or dealing more constructively with stress and anxiety is a challenge that you’re hoping to tackle in 2015, we have many resources on the practices of mindfulness and meditation. These include books and CDs by Jon Kabat-Zinn, the works of Pema Chödrön, and titles such as Calming Your Anxious Mind: How Mindfulness and Compassion Can Free You From Anxiety, Fear, and Panic and Five Good Minutes: 100 Morning Practices to Help You Stay Calm and Focused All Day Long. 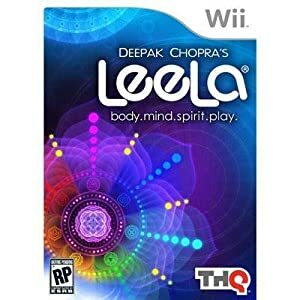 Or, head to Circulation to check out the Wii that we have available and try out Deepak Chopra’s game Leela: body. mind. spirit. play. Of course, the best way to abate stress and anxiety is to remain on top of your academic workload and to seek assistance early and often from your friendly and helpful librarians. If you’ve resolved to become more studious this year, check out the research guides that we’ve compiled for various subjects and an array of classes; these guides highlight useful resources that support academic work for specific classes and subjects. The Reference Desk is an obvious place to turn for support in maintaining your academic goals, and we offer help either in person or virtually. Reference librarians are on hand six days a week to answer questions and to help with research. If you’re in need of in-depth support, research appointments are a great way to access advanced research assistance for your project, paper, or bibliography. Staying abreast of your studies and coursework is a laudable resolution for the new year, and the Mudd librarians will do their best to support you in this endeavor. The Mudd can help with even more resolutions. Perhaps you intend to stay more informed on current events, either domestically or internationally. We subscribe to a large number of local and international newspapers to help you do just that. Are you interested in learning another language? We’ve got you covered with a large selection of language media, including resources to help you study Estonian, Finnish, Chinese, Latvian, French, and many more. If you aim to unplug a bit and to spend more time offline in the new year, we have a ton of contemporary literature and many graphic novels for pleasure reading to your hearts’ content. We also have board games available for check-out, like Chutes and Ladders, CandyLand, Twister, and Scrabble. Regardless of what you’ve resolved to change or to begin in the new year, and even if you don’t make any resolutions at all, all of us in the Mudd wish you a wonderful 2015, and sincerely hope that you will take full advantage of the multitude of materials and resources that we work so hard to provide. Here’s to a great year! Canine Therapy at the Library! 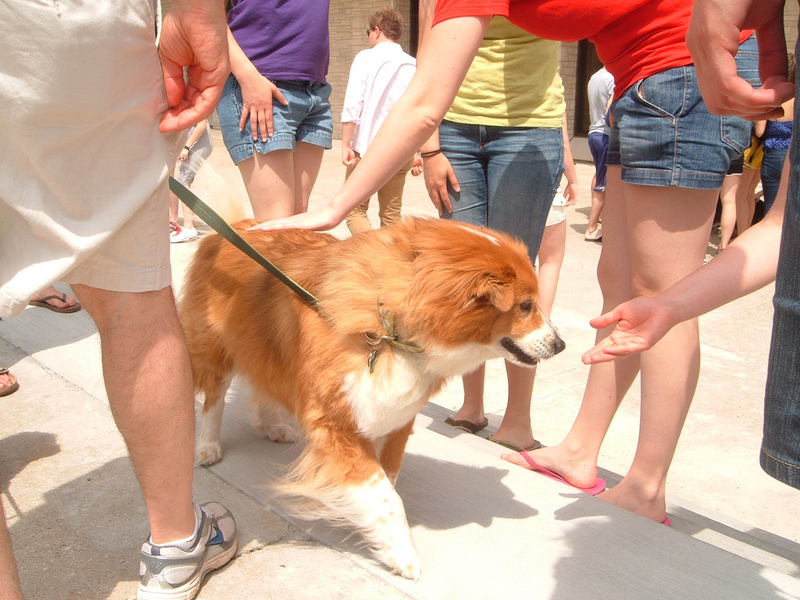 The term is coming to an end and finals are looming closer…must be time to pet some dogs! For the past few years, the Mudd has hosted canine therapy for students to de-stress for a bit and take their minds off the pressure of spring term finals. Faculty, staff, and students bring their dogs for Lawrence students to get some puppy love! It’s a whole lot of fun and this year it will be on Monday, June 9th from 2-3pm, outside of the Mudd. Pictures from past years’ canine therapy events can be found on our Flickr page! Thanks to the campus student groups PSA, LUNAMI, SAA, and LU Wellness, there is a new themed display on the New Books shelf in the library for National Eating Disorders Awareness Week (February 23rd-March 1st). The goal of this week is to promote public and media attention to the seriousness of eating disorders and improve education about triggers, warning signs, and how to help those struggling. NEDAwareness’ 2014 theme is “I Had No Idea”, seeking to address the misconceptions and stigma that surround eating disorders. This display provides print resources for patrons that are perhaps suffering from an eating disorder, or are interested in learning more about them. Also on display are educational infographics provided by NEDA, the National Eating Disorders Association (which can also be viewed here). To learn more about NEDA and NEDAwareness Week, you can visit their websites here and here. LU Counseling: 920-832-6574 or the WellLU webpage for counseling and other resources. As part of a student health initiative, there are now two standing desks available for use in the library. Donated by stand2learn, these wheeled desks allow students to go anywhere in the library and work standing up. Standing aids in focusing, increasing energy level, and is overall good for a student’s health (plus they’re a nice break from sitting constantly all day). The initiative has been led by three students- Christopher Bohl, Nathan Eckstein, and Brynley Nadziejka- and it appears to be quite popular with the student body, as the desks are almost always in use! We are happy to report that a variety of finals stress relief options will be available for Lawrence students in the library this weekend. Cut out a paper snowflake to decorate our tree. We have templates of Anthony Herrera’s awesome Star Wars snowflakes, Doctor Who TARDIS and Cybermen, as well as some more traditional designs. We also have plain paper available for those who’d like to exhibit their own creativity. The paper and tree are located to the right of the circulation desk. Create with LEGO bricks! 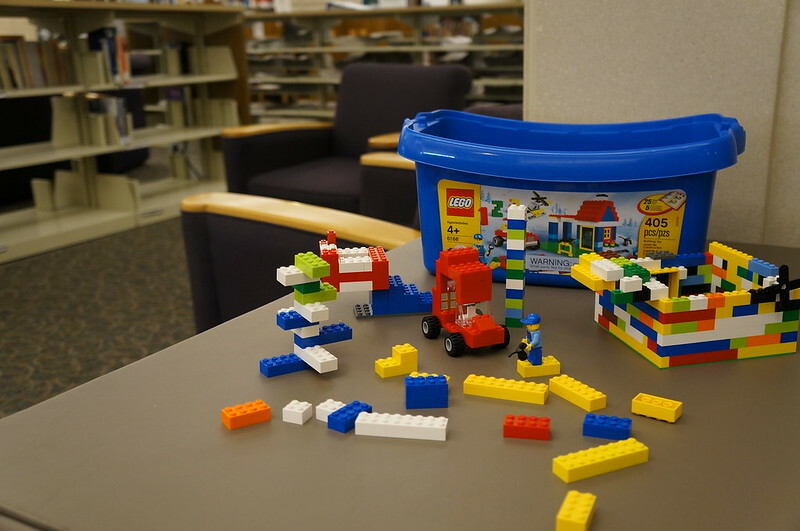 We’ve set out a collection of LEGO bricks on a table in front of the reference desk for some fun creativity time. OF course, from group study rooms to individual carrels, the library has whatever type of study space you need. In an effort to support the Lawrence community in their quest for wellness, we invite you to to come to the library and check out some of our new mindfulness resources. We have two audiobooks, Mindfulness for Beginners and Guided Mindfulness Meditation, and one book, Full Catastrophe Living all by Jon Kabat-Zinn. You can find them on the New Book Shelf. Mindfulness is a conscious effort to be aware of your present experience or moment and accept your thoughts or emotions in a way that is non-judgmental. It is said to be useful for people dealing with stress, chronic pain, or anyone hoping to improve their happiness and well-being. Psychology and psychiatry started paying attention to mindfulness in the 70’s. Jon Kabat-Zinn, an American doctor, opened the Mindfulness-Based Stress Reduction Program at the University of Massachusetts in 1979 after seeing Thich Nhat Hanh at a retreat. He recognized that mindfulness could be useful in treating patients with chronic illnesses. His program received interest from many people both healthy and ill, and has grown over the years. He’s written several books on the subject. Here is the man himself explaining the what mindfulness meditation is: Jon Kabat-Zinn explaining Mindfulness Meditation. Take a look at Student Health 101, an electronic magazine brought to you by Lawrence University Counseling Services. This monthly interactive publication features articles, video interviews with Lawrence students, a monthly contest to win $1,000, and more. In this month’s issue, read about secrets to writing papers, tips for boosting self esteem, advice on sexual relationships, and how to improve grades by getting more sleep.